Home > General > General > Trapiche Quartz? This summer we visited a newly opened quartz mine called Bills Old Mine, it's North of Thunder Bay Canada. They have a lot of larger size single crystal points and I traded for a few of them (~60mm) just so I could saw them for a look inside. Outside some of them are not too high quality specimens with most surfaces etched and with attached minerals so cutting a few seemed like no crime ;-) Here are a few small photos, I'll add some larger photos when this location gets added to Mindat. There are some unidentified white feather shaped inclusions that are interesting but not visible in these small photos. I plan on polishing some of the surfaces, these are photos of unpolished slabs. Will be nice in the Christmas tree. John those are stunning :-) Coincidentally I just obtained some similar slices of Brazilian material but the colour is less profound. I'm pleased to know these are from our own backyard. I wonder if material from other mines in the area reveal these features when sliced? I suspect you will have quite a demand on your hands once the word is out! Beautiful work. Thanks, John. Patterns are identical to the Anahi mine ametrine crystals I collected while working in Bolivia in the 90's. I suspect the dark color concentration between the r & z faces is what produces the "star" pattern is some Thunder Bay amethyst. Here's a photo of the slices I just acquired from Brazil for comparison, yours are much more colourful :-). What a great find you have there! I was lucky to be able to obtain the location information for these as Cacharai mine (Caxarai; Caxarari), Porto Velho, Rondônia, Brazil, the largest one is 30mm. We have now Bill's Old Amethyst Mine, Pearl Station area, Thunder Bay District, Ontario, Canada as a locality in our database. Is this the same locality as from where your amethyst specimens are from? Rock yes that is the location, I'll add some photos soon, thank you. That is a nice coincidence Stephanie and thank you for posting the photos, I have saved you some for our next trade. I've only cut a few points from the Blue Points Mine (which is very near by), some of the interiors show sharp zoning with clear and purple triangles as well. Thanks for the info re Blue Points. Looks like you have a fine winter project. And thanks for keeping me in mind for a future trade. Keep me posted on your progress. Here is one of the star burst's, from the Shuniah mine, that Bob was talking about. Anybody care to explain this star-like color zoning? i try to explain this but i do not know well english for sénaire axis. Edited 1 time(s). Last edit at 02/08/2016 08:39AM by Hubert Daré. Hi, I 'll try to explain simply . Those are really cool. Did you ever get more? I collected a hundred pounds of tumbling from Bill's Old Mine a couple summers ago. Just to break the monotony of pulling hundreds of pounds of crystals out of the Canada Day pocket at Blue Points. Crystals capable of producing a good purple star cab are rare. The chevron pattern on the side of the dogsteeth is attractive. White hexagons in ame can be found. 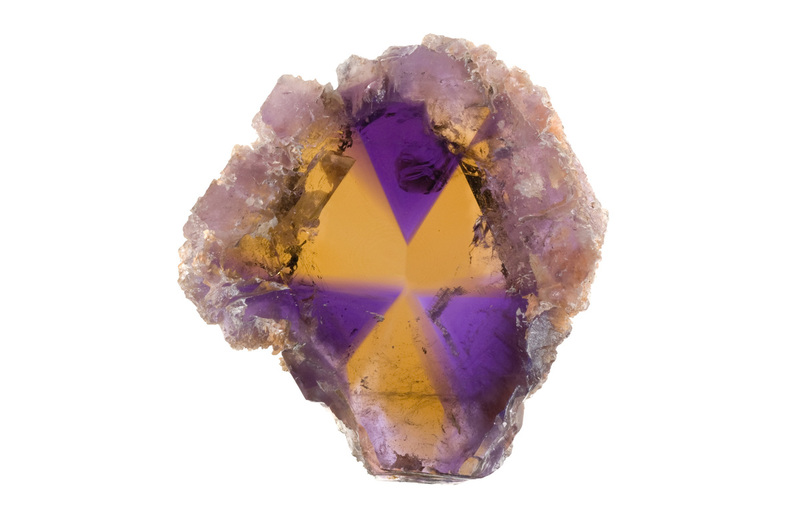 The alternating purple triangles, as in the incredible Anahi ametrine, are very, very unusual. I saved every decent crystal, but the secondary quartz deposition on the upper half, and the rather grungy brownish color, renders them of little interest as specimens. 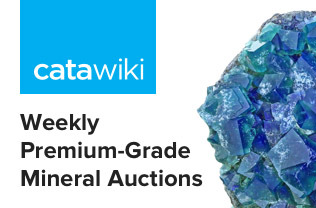 It's a fascinating deposit, and some of the most fun collecting you could imagine. A surprising amount of amethyst mining is going on in that area, there's more blasting and exploration and mining than I've seen in 30 years. 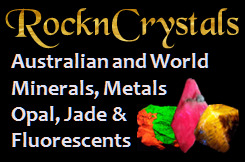 I'd love to get back and try to get some larger crystals for slabbing. It's an 18 hour drive for me, anybody up for a road trip? is it possible to have any roughs from Bills Old Mine ? I'm lapidary in France and i love trapiche quartz !